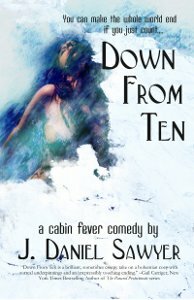 Now that the feeds are working and I’m back on the air, I thought you’d all enjoy a sample of a new work that shares some of Down From Ten’s comedic horror vibe. It is with great pride that I announce the release of my short novel Ideas, Inc., which Alasdair Stuart of…well, everywhere…called “Effortlessly funny, cheerfully dark, and tremendously strange” before he went on to say a whole lot more in this amazing review in SFX. Like the shorter Lantham novels, this is a story designed to give you a rip-roaring, white-knuckle adventure with plenty of laughs and scares in a single, breathless evening. Of course, you’re free to take longer reading it, but I warn you: Once you pick it up you won’t want to put it down. And in ebook through Smashwords, Amazon, Kobo, Barnes and Noble, and a few other places as well. The author of Suave Rob’s Double-X Derring-Do brings you a farce of the tradition of P.G. Wodehouse and Douglas Adams. 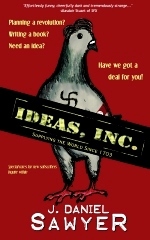 Find out in this hilarious all-night adventure yarn that reveals the terrible truth behind the worldwide pigeon cabal! Read the first chapter free here as a EPUB or PDF. And now, Episode 21, in which Amos shows his skills, Sarah sings a song, and Katy has a dream. This episode’s Story So far by P.C. Haring. Bumper by Brian D. Clay of Kingdom Crisis.